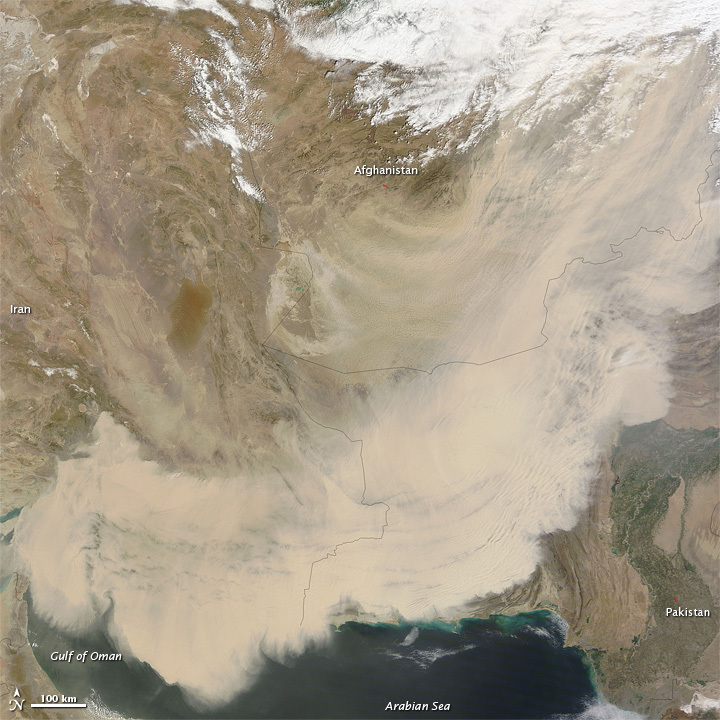 Dust storms have been raging across southwestern Asia and the Middle East in mid-March 2012. 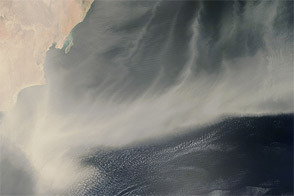 Intense dust events spanned thousands of kilometers from the Red Sea to Afgashistan, and from the Arabian Peninsula to India. Earlier in the month, dust was on the move in Iraq and Syria and along Africa’s Atlantic and Mediterranean coasts. On March 19, 2012, the Moderate Resolution Imaging Spectroradiometer (MODIS) on NASA’s Terra satellite captured this natural-color image (above) of a storm sweeping across Iran, Afghanistan, and Pakistan. 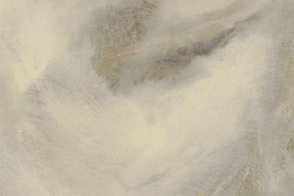 Some source points are visible in southern Afghanistan, and the dust blew in southeast-northeast arcs. Most of the dust plumes in this storm were thick enough to completely obscure the land and water surfaces below. According to Gulf News, several meteorologists characterized the dust activity as a “super sandstorm.” The cause of the storms was likely the convergence of two different weather fronts. 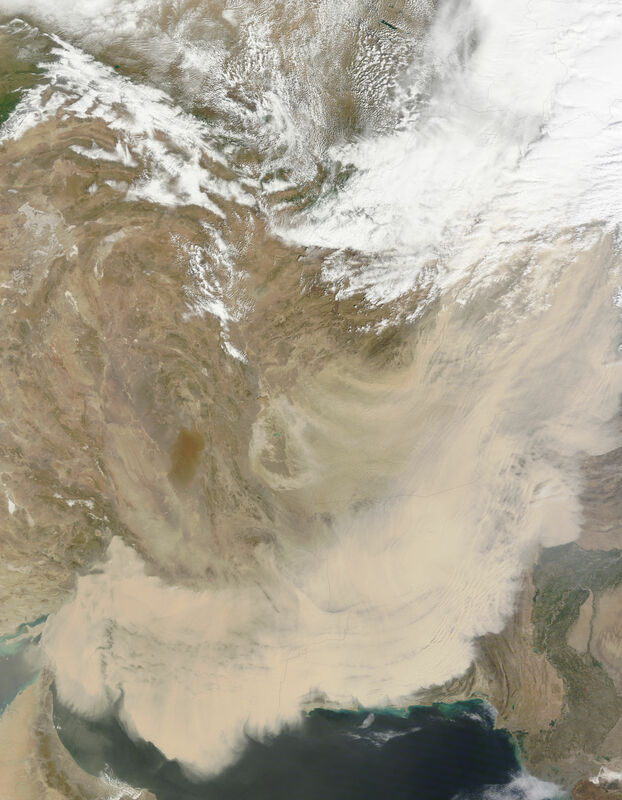 The first carried dust from Iraq and Kuwait, and the second front stirred dust in southeastern Iran. 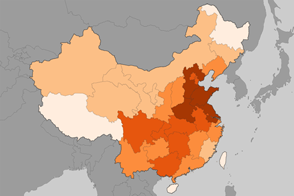 Intense dust storms have raged across two continents in mid-March 2012. Pakistan Meteorological Department. (2012, March 19). Weather Outlook. Accessed March 19, 2012. University Corporation for Atmospheric Research. 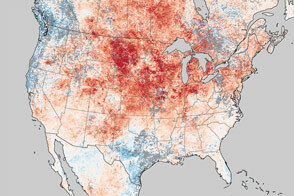 (2010) Forecasting Dust Storms. (Registration required.) Accessed March 19, 2012.